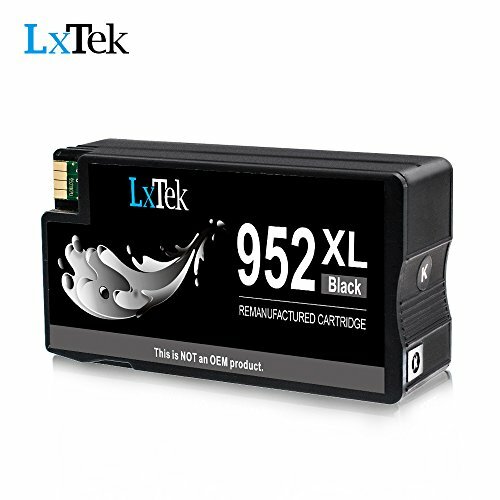 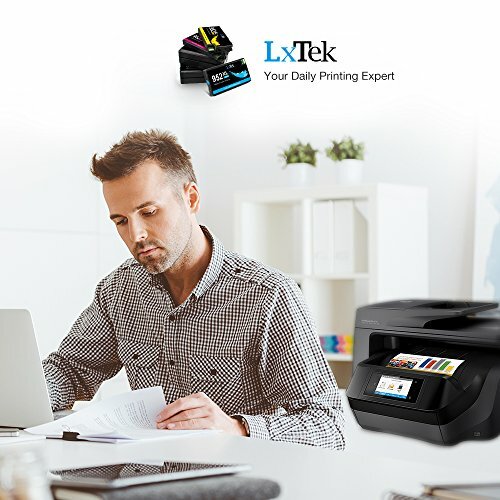 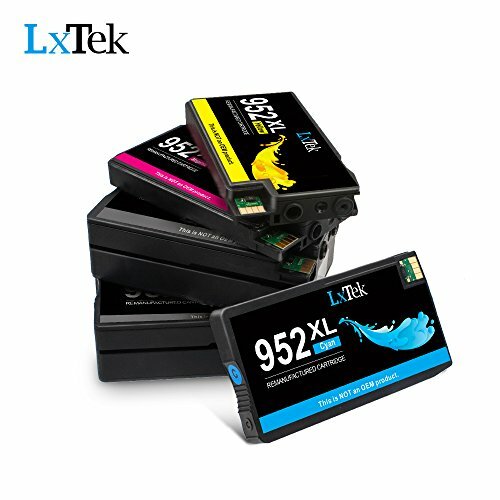 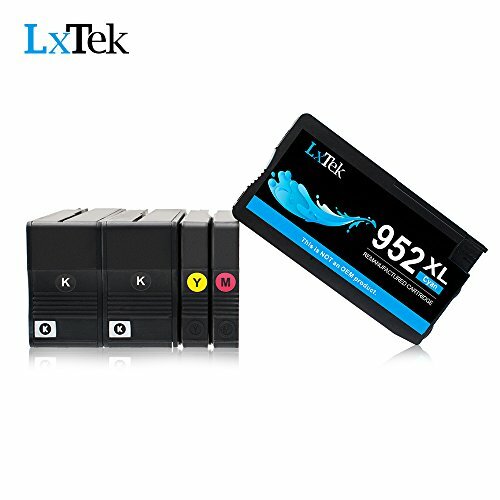 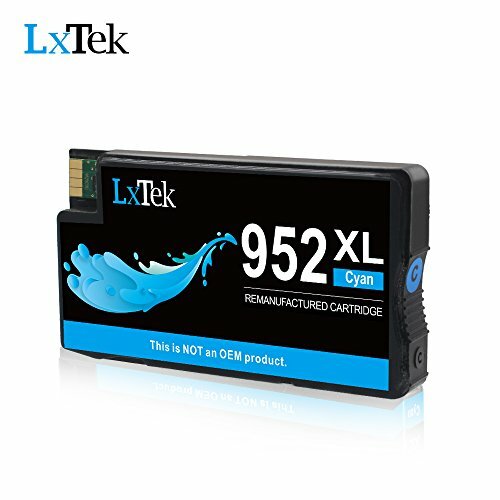 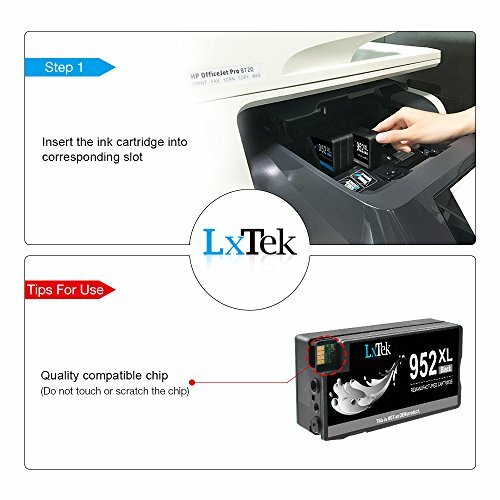 LxTek remanufactured ink cartridge replacement for HP 952XL 952 XL has been awarded ISO9001 certification, and we have independent laboratories periodically verify product quality to ensure a smooth user experience. 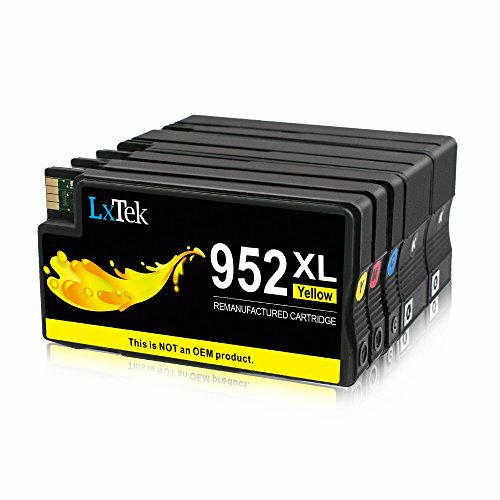 Package Contents: 5 Pack (2 Black|1 Cyan|1 Magenta|1 Yellow) remanufactured HP 952 952XL ink cartridges. 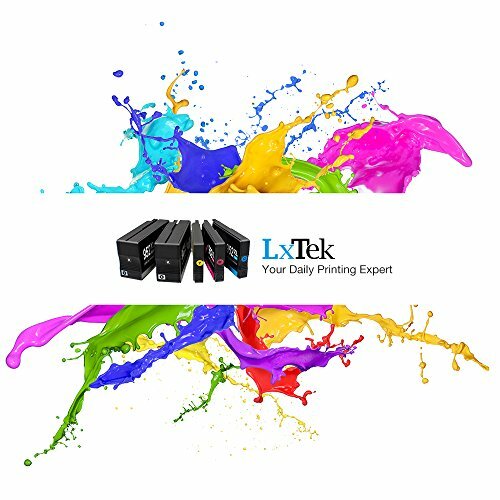 Page Yield: Up to 2,000 pages per black cartridge and 1,600 pages per color cartridge at 5% coverage.